90 lenses per box @ $69.44 per box. Minimum order 2 boxes (three months' supply). 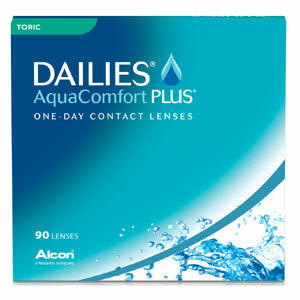 Alcon's new premium daily disposable for astigmatic lens wearers, the Dailies AquaComfort Plus Toric releases a moisturising agent with each blink to give even greater comfort as well as crisp, clear vision.